Kick off your visit on the 6th (Thu): trek along Kuniya Walk, explore the activities along Mutitjulu Waterhole, then take in the dramatic natural features at Uluru, and finally hike along Uluru Hiking Path. Keep things going the next day: get outside with Walpa Gorge, then take in the dramatic natural features at Kata Tjuta, then browse the exhibits of Walkatjara Art, and finally get all the information you need at Uluru-Kata Tjuta Cultural Centre. To find ratings, other places to visit, maps, and tourist information, you can read our Uluru-Kata Tjuta National Park travel itinerary planner . New Delhi, India to Uluru-Kata Tjuta National Park is an approximately 21-hour flight. Traveling from New Delhi to Uluru-Kata Tjuta National Park, you'll lose 4 hours due to the time zone difference. In June, Uluru-Kata Tjuta National Park is cooler than New Delhi - with highs of 22°C and lows of 7°C. Wrap up your sightseeing on the 7th (Fri) early enough to travel to Sydney. Kick off your visit on the 8th (Sat): take in nature's colorful creations at Royal Botanic Garden Sydney, catch a live performance at Sydney Opera House, then take in the views from Sydney Harbour Bridge, and finally take a stroll through The Rocks. 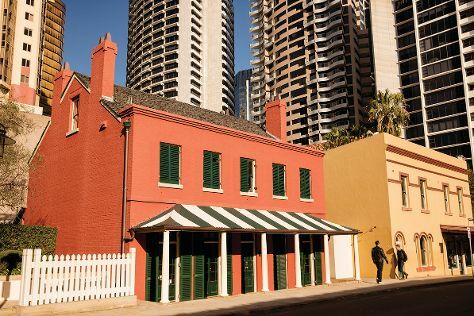 On the 9th (Sun), you'll have a packed day of sightseeing: wander the streets of Darling Harbour, then enjoy the sand and surf at Bondi Beach, then walk around Nielsen Park, and finally pause for some photo ops at Mrs Macquarie's Chair. To find more things to do, where to stay, reviews, and more tourist information, read Sydney online driving holiday planner . 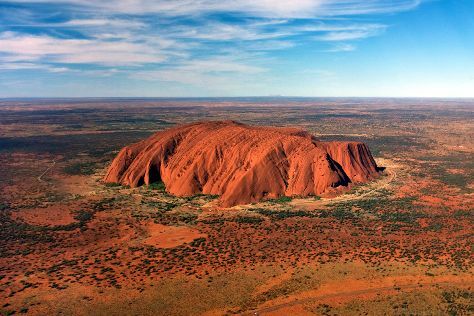 Fly from Uluru-Kata Tjuta National Park to Sydney in 5.5 hours. Alternatively, you can drive. Plan for a bit warmer nights when traveling from Uluru-Kata Tjuta National Park in June since evenings lows in Sydney dip to 11°C. Wrap up your sightseeing by early afternoon on the 10th (Mon) to allow enough time to travel back home.